Montgomery county, located north of Houston, is a popular area experiencing abundant growth, attracting droves of people with its beautiful cities and peaceful atmosphere. Many professionals and families eventually decide to move to this part of the city, as it features some of the best schools in the state and has plenty to offer to people of all ages. 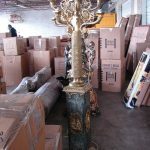 Johnnie T Melia Moving and Storage can help those looking to relocate to this part of Houston, helping out with every part of the moving process, from packing and driving to unloading and unpacking. Johnnie T Melia has been helping families in the Houston area since 1969 and is respected for its excellent customer service and versatile expertise. What makes Montgomery a popular choice for those thinking of moving? This part of the Houston region is home to a pair of quickly growing towns just beyond the hectic bustle of the Houston urban area. Conroe is spread out and rural, sitting about 20 miles beyond the outer edge of Houston. It is a quiet suburb filled with small businesses, though National Oilwell Varco has a large presence in the area as well. The Woodlands, though, is even more popular and is among the fastest growing cities in the country. Between 2000 and 2010, the population in The Woodlands increased by nearly 70 percent, attracting people with its mix of suburban quiet and metropolitan tastes. The Woodlands is a master-planned community and offers many cultural and entertainment amenities that most towns don’t have. This includes the Cynthia Woods Mitchell Pavilion, an open-air arena that brings in some of the best musical acts every year. The pavilion is also the site of many local music festivals each year, and nearly always has events planned for families and young adults alike. The Woodlands also has dozens of unique restaurants and offers much more than the standard suburban fare. Near the center of the city is The Woodlands Mall, a sprawling shopping center that is bordered by a beautiful waterway. In the future, this waterway will connect the urban center to the city’s park, creating a lighted path for athletics, hiking and sightseeing. The perfect moving solution for The Woodlands. JTMelia provide great pricing and great services. 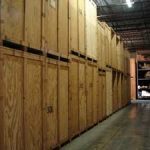 JT Melia provides long term storage solutions for clients who have to go on corporate or military assignment and need a long term storage solution until they return to The Woodlands or Houston. Why is Montgomery an ideal place for families and young professionals? North Houston is a perfect place to move to for people of all ages as it is a strong area for both education and business. Schools in The Woodlands are some of the best in Texas, and the city is also home to the Lone Star system of colleges, offering excellent postsecondary educational resources to graduates. Several large corporations have a presence in The Woodlands, including ExxonMobil Hewlett Packard and Baker Hughes. Memorial Hermann has a state of the art medical facility here as well, employing thousands of people. Chevron Phillips, Maersk Line, St. Luke’s, and US Oncology also have facilities in The Woodlands, making the town a haven for young professionals. The Woodlands is also home to Anadarko Petroleum’s headquarters, one of the leading employers of the city. There are many reasons to move north of Houston, and Johnnie T Melia Moving and Storage can provide all of the necessary relocation services, making the move simple and stress free.